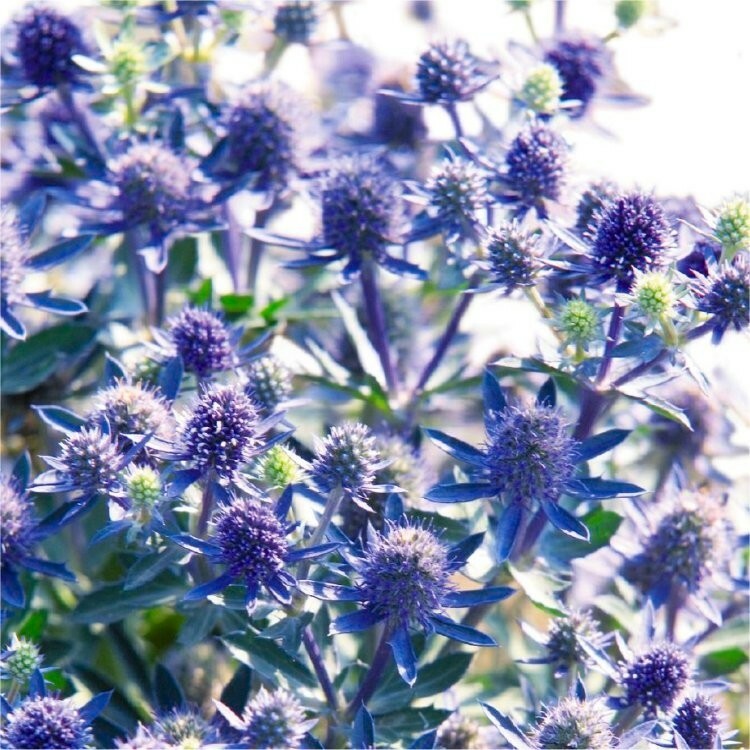 Also known as Sea Holly, this strikingly attractive Eryngium plant carries rounded deep blue flowers and dark green, heart shaped, foliage on upright stems in summer. A choice plant for flower arranging, the flower stems may also be cut and dried for winter decoration. 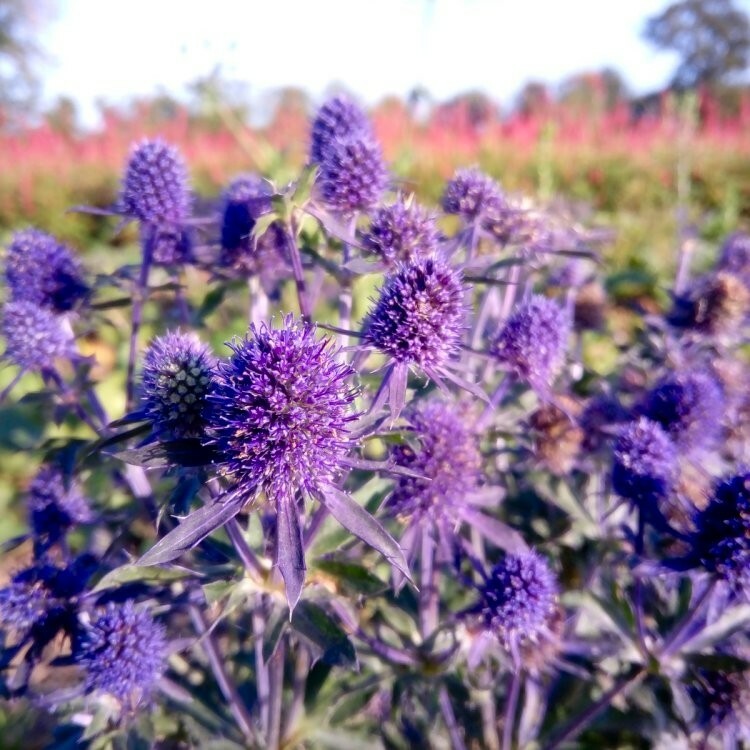 In the garden it make a fantastic combination with a wide variety of other herbaceous plants, and a grea architectural feature when planted in a group in full bloom. The colour will combined well with a variety of shades from bright yellow Rudbeckias to pure whites or pinks and purples - for this reason alone it is one of our most popular perennials as it will suit many gardens and situations, from cottage to ultra-modern stainless steel clad affairs. 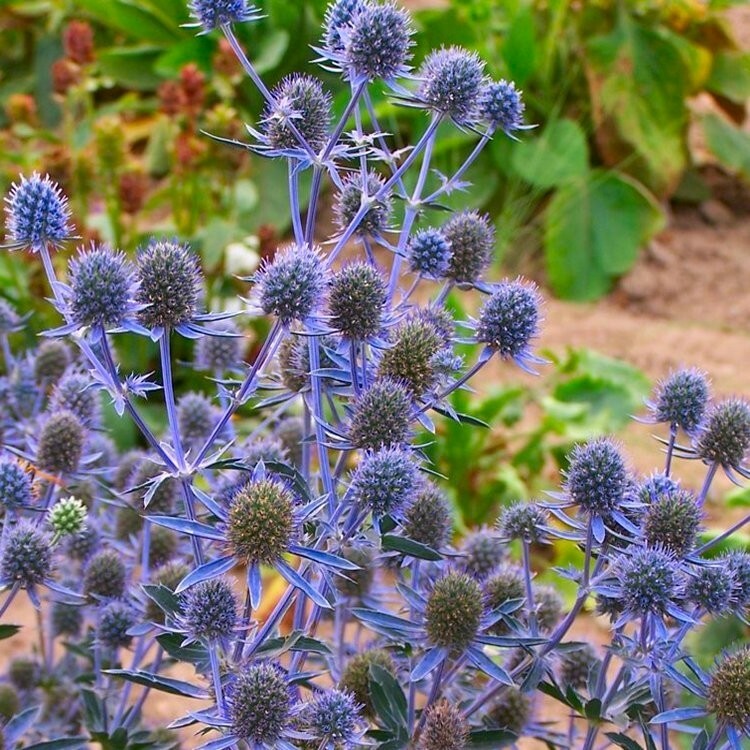 Eryingium planum Blue Sea Holly will tolerate poor soils and is drought tolerant once established, it will reach a height of about 90-120cm (36-48inches) when in full bloom. Supplied in approx 1 litre containers.